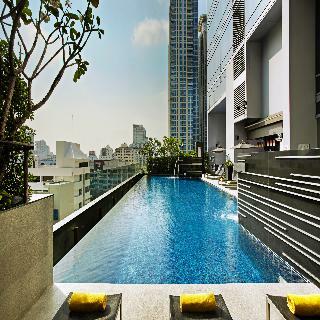 The hotel is in the heart of Bangkok's central business district, within walking distance of major embassies, commercial centres and the efficient Bangkok Transit System. This city hotel offers 112 rooms. It is air-conditioned and has a lobby, 24-hour reception, currency exchange facility and a coffee shop with a relaxed bar off the lobby. There is also a mini-supermarket, hairdressers' salon, and restaurant. WLAN access and room and laundry services are available. There is a hotel parking. The rooms offer all standard amenities. They also come with a fully-equipped kitchen. Furthermore, the luxury hotel bathrooms have both a bathtub and a separate shower. Balconies and terraces also feature. 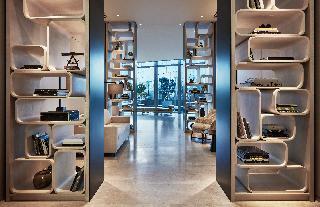 Hotel has convenient access to shopping and business districts of the city. The business district is located conveniently close to the residence as are a wide range of shops, restaurants and city attractions. Air-conditioned hotel offers rooms with fully-equipped kitchen. There are Cooker hob & hood, Electric kettle and Microwave. Also each kitchen provides Refrigerator, Toaster and crockery. Bathroom comes with towels and toiletries. Hotel has large pool area with kiddie pool. Baison Restaurant offers a buffet breakfast, traditional Thai and international food, and beverages daily. For elegant, gourmet steakhouse cuisine there is Artur Restaurant. The ride from the airport to the hotel by airport link takes just 40- 45 minutes. 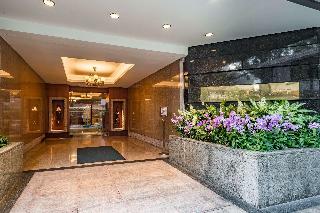 This city hotel is dedicated to adhering to the highest standards in the hospitality industry on its wonderful premises. Guests can rightly expect perfect treatment with accommodation exuding a distinctive touch of style. The hotel is able to offer a more intimate atmosphere than most city hotels, making it the ideal choice for travellers looking for a combination of excellent service, safety and luxury. 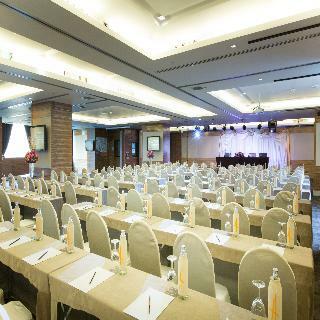 The air-conditioned lobby welcomes guests with a café and a restaurant, and conference facilities are provided for business guests. WLAN Internet access is available in public areas and guests bringing their cars may use the parking spaces provided. The hotel features spacious and elegant accommodation units furnished in a modern elegant style and offering a warm ambience. The hotel is located in Bangkok, Thailand. Phloenchit Skytrain Station is in the vicinity. It is an exclusive hotel located on Sukhumvit Road, Soi Ruamrudee, in the centre of Bangkok's shopping, business, and diplomatic districts. The hotel offers 212 well-appointed rooms and suites that feature state-of-the-art amenities as well as panoramic views of the capital, and have been designed with safety, practicality, and elegance in mind. Notable facilities include an outdoor swimming pool with adjoining fitness centre and Spa as well as business centre services. The hotel offers limousine services with English-speaking drivers. There is a buffet breakfast served daily. The “Moments Restaurant” offers an international menu and wine list. Snacks and drinks can be enjoyed at “Pause” lobby bar and “Time Out” pool bar. 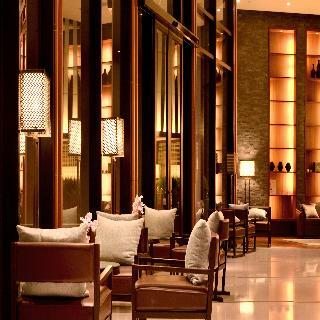 Guests who stay at this hotel can experience the real Bangkok ambiance. 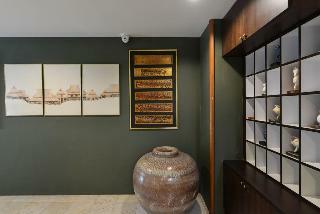 Ideally located within the Ratchaprasong District and is close to Sukhumvit Road. A directly adjacent BTS skytrain station allows fast travel throughout the city and to the Sunarnabhumi Airport. Nearby are renowned medical facilities. Major shopping destinations such as Central World, Siam Paragon, MBK and Platinum abound at walking distance. This opulent hotel, which participates in the Green Engage initiative thus playing an important part in environmental awareness, is the ideal choice for conference visitors due to its extensive range of business and conference facilities and services. A fresh and contemporary design welcomes guests in the heart of the cosmopolitan Thai capital.The newly refurbished Holiday Inn Bangkok boast 379 rooms and suites, located on Phloen Chit road, which is directly connects to Sukhumvit. The hotel is easily accessible from both Suvarnabhumi and Don Mueang International Airport, at only 30 and 40 minutes respectively. Cultural attractions including the Royal Grand Palace, Temple of the Emerald Buddha, Chao Phraya River, Erawan Shrine, Jim Thompson, and Chatuchak Weekend Market are all close by, and can all be conveniently accessed via the modern air-conditioned public transport system, the BTS Skytrain Chit Lom and Siam.Thailand's largest shopping malls and many popular markets are also within walking distance and connected via the covered skywalk, while some of the city's world-class medical centres are a mere 10 minutes away. Shoppers will find plenty to delight at CentralWorld, Platinum Fashion Mall, Pratunam market, LINE Village Bangkok, Big C, MBK, and Siam Paragon. For an unforgettable dining experience; Ginger is an all-day dining restaurant offering authentic Thai cuisine, Western dishes and delectable desserts overlooking the pool, while Beer Republic, located at street level just in front of the hotel entrance, is where guests can enjoy live bands and live sport screenings, along with the largest beer selection in Bangkok with over 100 varieties and 20 draft beers, and delicious European and Thai bar food.In addition to unveiling our new guestrooms, ConneXion lounge has been transformed into a cohesive open space. Relax with friends or meet colleagues in this ergonomic co-working area or stream emails while enjoying a variety of freshly prepared juices, hot beverages and a Grab & Go selection. For a true oasis to escape and take a break from this vibrant city, our 12.5-meter pool is conveniently located next to our 24-hour fitness center and sauna, for your enjoyment and relaxation. 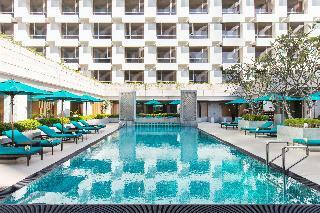 "A tranquil oasis above bustling Bangkok. Embracing its enviable location in the world's most popular tourist destination (according to the MasterCard Global Destination Cities Index 2016), Park Hyatt Bangkok promises to offer a refined and uniquely Thai experience, reflecting the country's rich culture and legendary warm and gracious hospitality. A devoted team of hosts will dedicate themselves to providing Park Hyatt's world-class discreet and sincere level of service.Park Hyatt Bangkok has been conceived as a sophisticated private residence and an oasis of calm amid the hectic capital. High above the teeming streets, guests will encounter a series of tranquil, rarefied spaces with a warm, residential quality and a refined sense of locale, combining clean, modern lines with artwork and finishes influenced by traditional Thai craft.Located in the vibrant heart of downtown Bangkok among the capital's key shopping, business and entertainment districts, the hotel is an ideal base to explore the myriad of sights in the city, within walking distance of Temple Pathumwanaram, Erawan Shrine, Jim Thompson House, Lumpini Park, and having direct access to the BTS Skytrain stations of Phloen Chit.It was designed to create a sense of serenity within this vibrant city, providing guests with an intimate atmosphere. 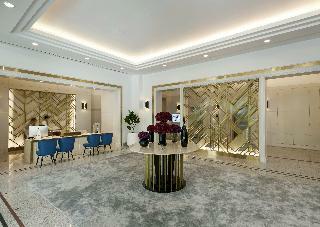 All elements of the hotel work together to provide a chic, stylish and unique environment. It will be a home away from home for global connoisseurs looking for a refined journey. At here, thoughtful and discreet service will be provided by engaged and charming staff, to create an overriding air of tranquillity.Park Hyatt Bangkok offers rare and intimate experiences. To personalise your stay, please provide us with your arrival details and preferences. 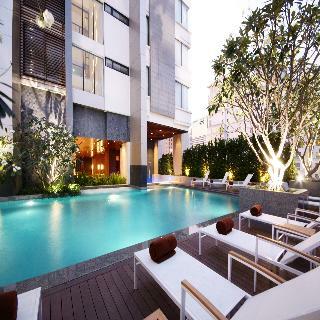 Aspira Residence Ruamrudee is situated in Bangkok, 700 m from Arab Street. This property is set a short distance from attractions such as Central Embassy. Attractions in the area include Soi Cowboy, a 14-minute walk away, or Amarin Plaza, located 1.3 km from the property.Guest rooms at the hotel are fitted with a TV and a kitchenette. The units come with a seating area.The reception can provide advice on the area in order to help guests plan their day.The nearest airport is Don Mueang International Airport, 21 km from Aspira Residence Ruamrudee. Pathumwan is a great choice for travellers interested in shopping for clothes, shopping and food.This is our guests' favourite part of Bangkok, according to independent reviews.We speak your language!